Why buy High Strength Biotin Tablets ? Biotin is a water-soluble member of the B-Complex vitamin group which must be obtained from our diet - it can be found in eggs, brewer’s yeast, cauliflower and cucumber. It plays an important role in both the normal function of the nervous system and psychological function, as well as being used by the body to help process key nutrients that are essential for normal growth and development. The EU Health Claims register has approved the claim that Biotin contributes to the maintenance of normal hair. This means the claim has been proven to be accurate and based on evidence accepted by the whole scientific community. 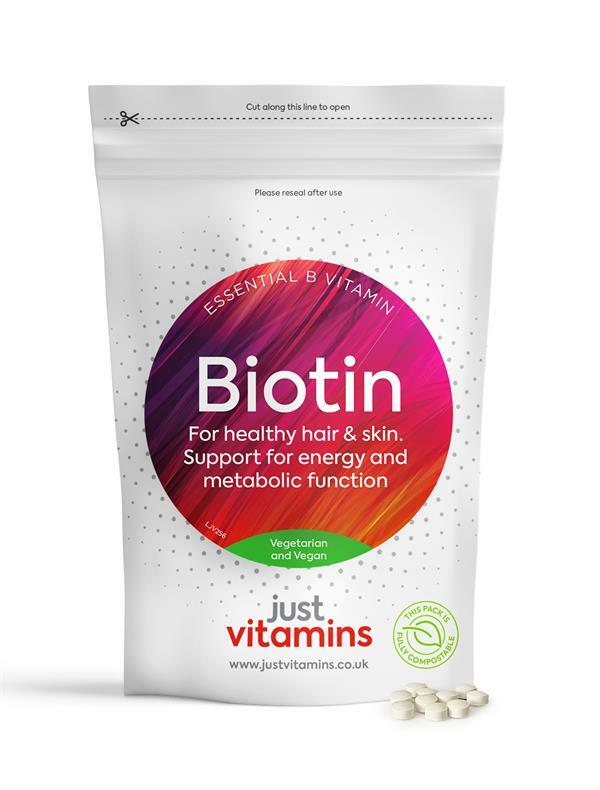 As well as helping to maintain healthy hair, Biotin has also been proven to contribute to normal skin and nails. We use only finest grade ingredients with this tablet providing 5000% of your NRV (Nutrient Reference Value). 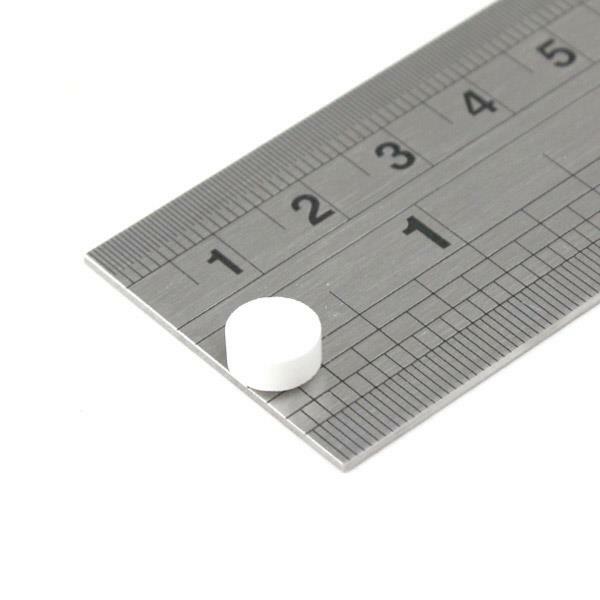 We have formulated this supplement in a small 8mm round, easy to swallow tablet. Microcrystalline Cellulose, Dicalcium Phosphate, D-Biotin, Stearic Acid, Magnesium Stearate, Silicon Dioxide. Adults: Swallow one tablet per day with food or as directed by your health professional.